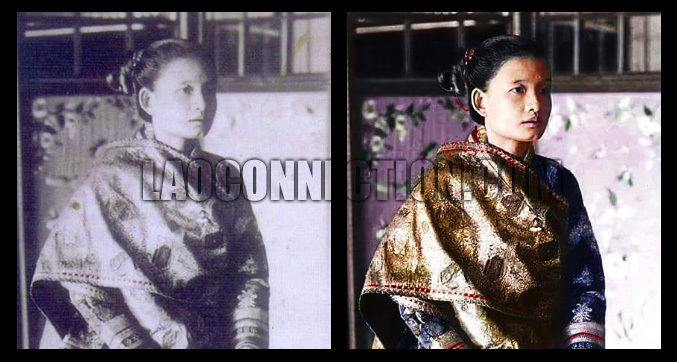 Former Queen of Luangprabang, Her Majesty Queen Kamfan, who was one of several wives of the former King Sisavavong. The picture was taken in the year 1919 in Luangprabang, as part of a series of official portraits done that year. The new colorization of this image certainly brings to life an old photo from the past. Facebook now in Lao Language!